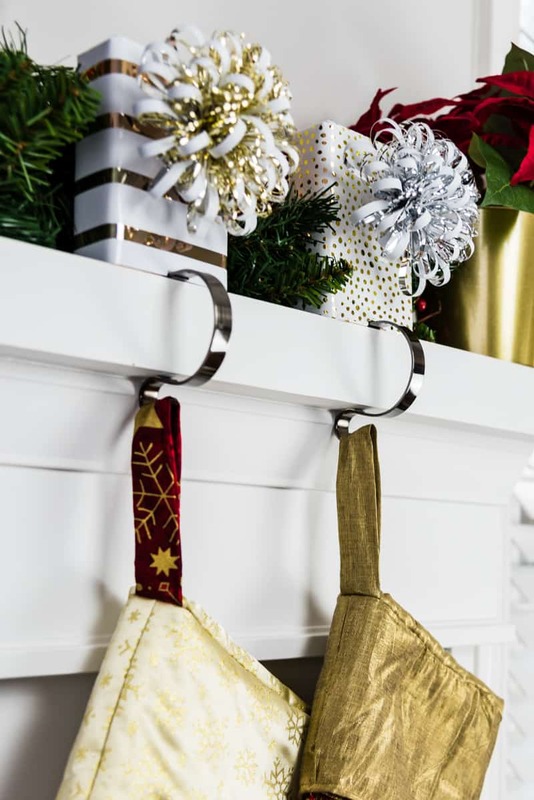 These sturdy stocking hooks won’t fall down, even when full of loot! 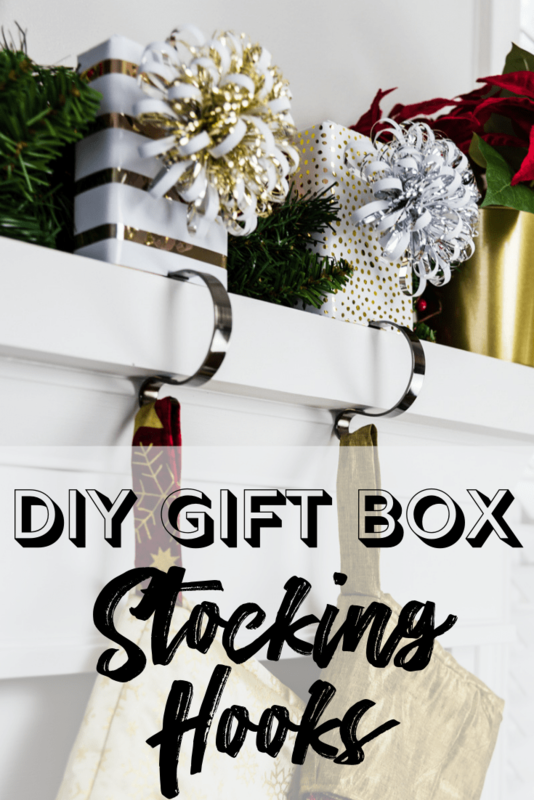 Add wrapped “gifts” made from scrap 2×4’s to create your own custom stocking holders! Over the years, I’ve collected quite the scrap wood pile! 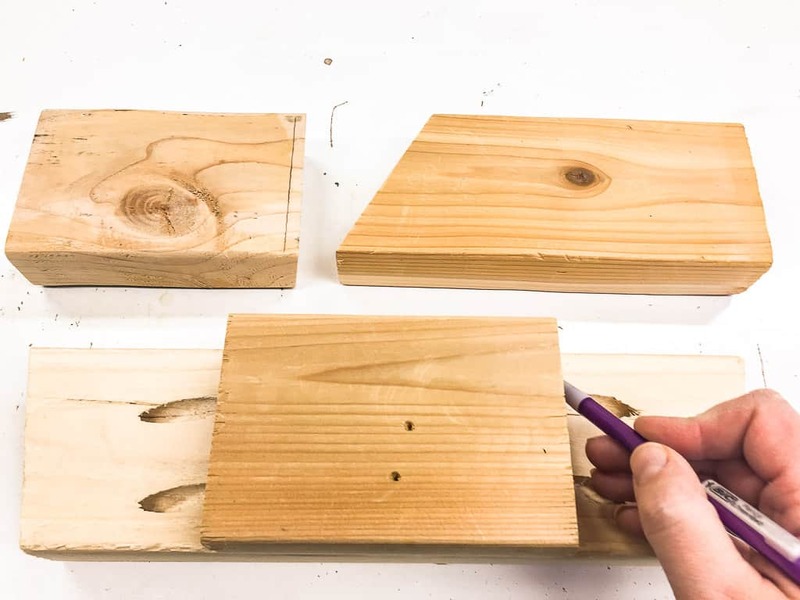 You never know when that small panel of plywood could turn into a wood wall art piece, or leftover trim could turn into a candle lantern. Now I’ve turned those ugly 2 x 4 end cuts into sparkling DIY stocking hooks to display on my newly rebuilt fireplace at Christmas! 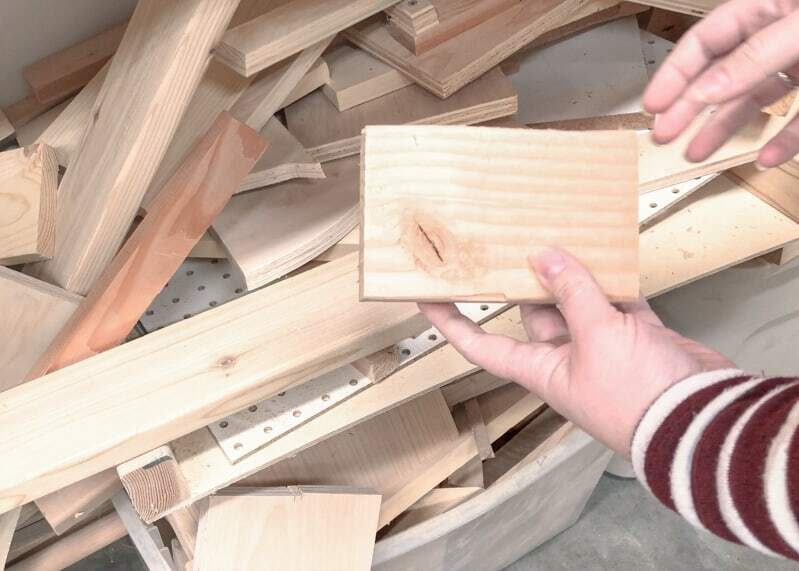 Whenever I build something with 2 x 4’s, I cut off the ends first. They’re never quite square, and they’re usually cracked, dented or filled with knots. I toss the smallest pieces, but sometimes I need to cut off more to get rid of flaws. But I just can’t throw them away! They’re used to prop up a piece for painting, under a clamp to protect a finished surface, or as a sacrificial board under a drill bit. After a big project using lots of 2×4’s, like my storage shelves or outdoor loveseat, the end cuts start to take over! The boxy shape makes them hard to incorporate into a decor piece . . . unless the decor IS a box! 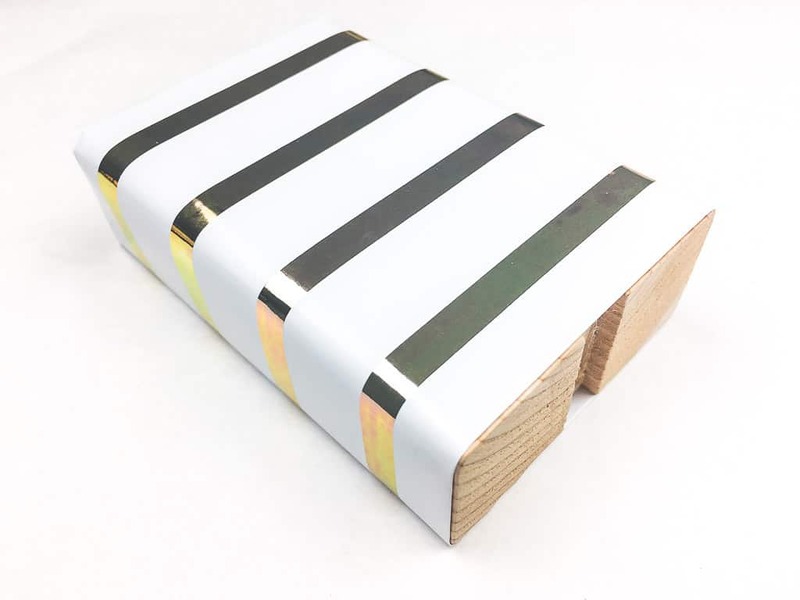 Cover up an ugly scrap of 2 x 4 with sparkly wrapping paper, slap on a bow and you’ve got yourself some Christmas gift boxes! But you don’t need a tutorial to show you how to do that, right? 😉 So I went one step further and added a mantle hook to the bottom to create these cute stocking holders! Mark the width of the mantle hook on the bottom. Then measure the depth and mark it on the side. 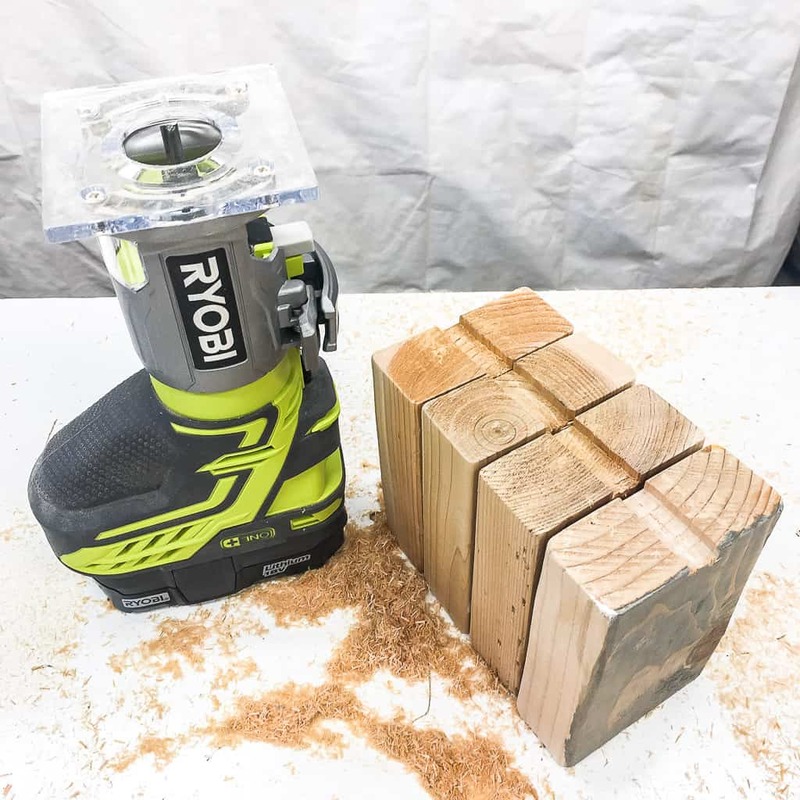 Set your router bit to the same depth and cut a channel at your markings. 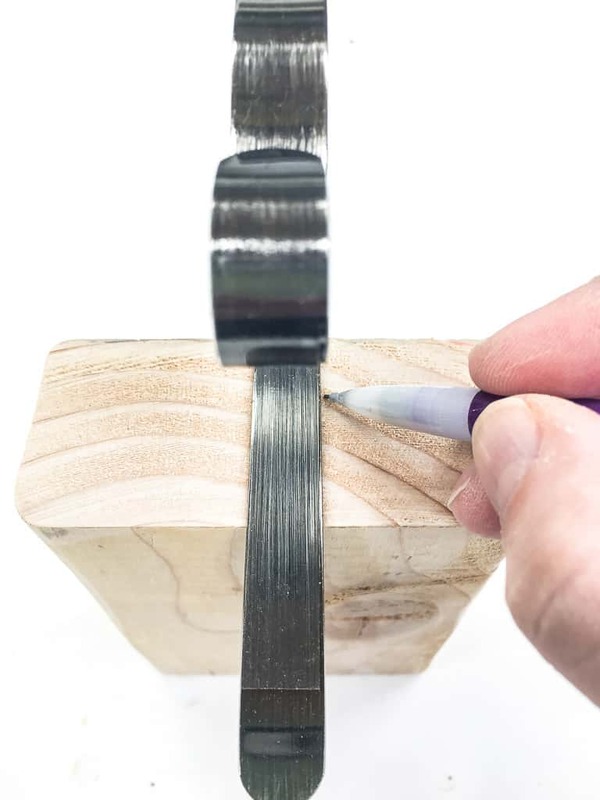 You can also do this by hand with a hammer and chisel. 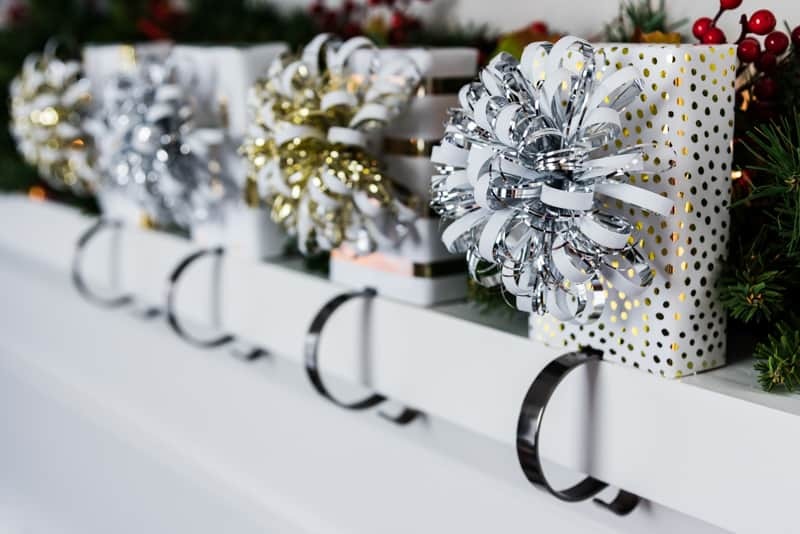 You don’t want to wrap the entire block like a present, or you won’t be able to slide the mantle hook into the slot. 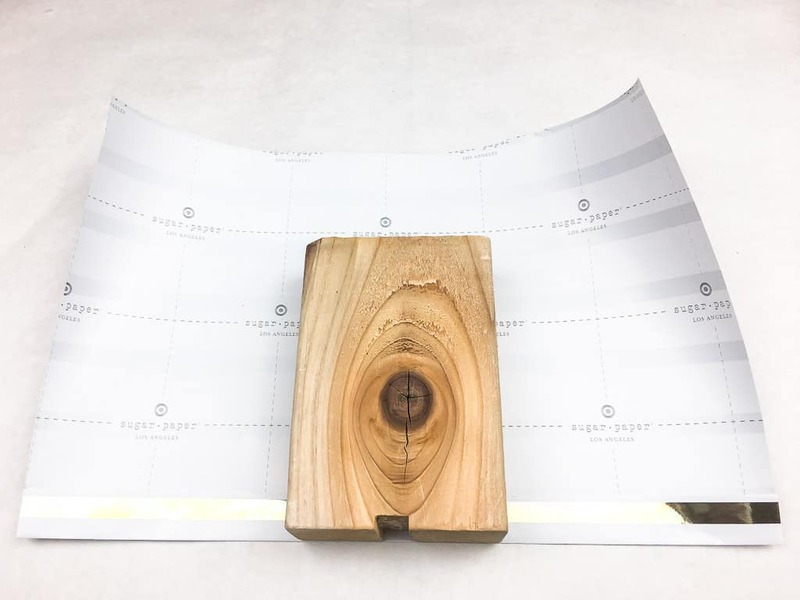 Cut the wrapping paper big enough to cover the entire wood block, but fold the bottom edge under to prevent ripping. Place the block on top with the bottom along the folded edge. Pull the paper around the sides of the block and tape it in the back. Then fold the top like you would wrap a present. Finish the look with a fancy bow! I tried using hot glue to hold the stocking hook to the block, but it popped off when I pulled it off the mantle. 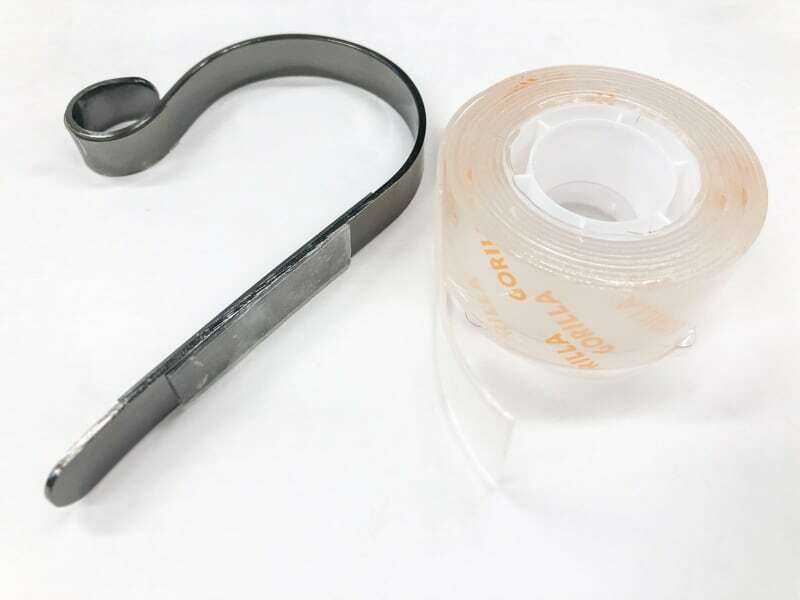 Instead, use clear double sided mounting tape to keep the hook in place. I’ve always worried about those heavy stocking holders getting pulled down on little heads on Christmas morning. Luckily, these hooks clamp around the edge of the mantle securely, and can’t be pulled down! Now the stockings are ready for Santa, and the mantle looks more festive too! 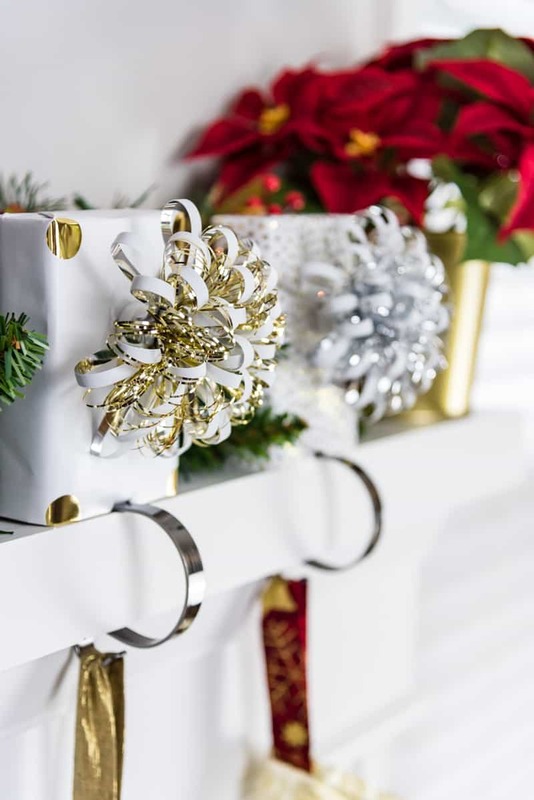 Without the stockings, the hooks would look bare and boring. 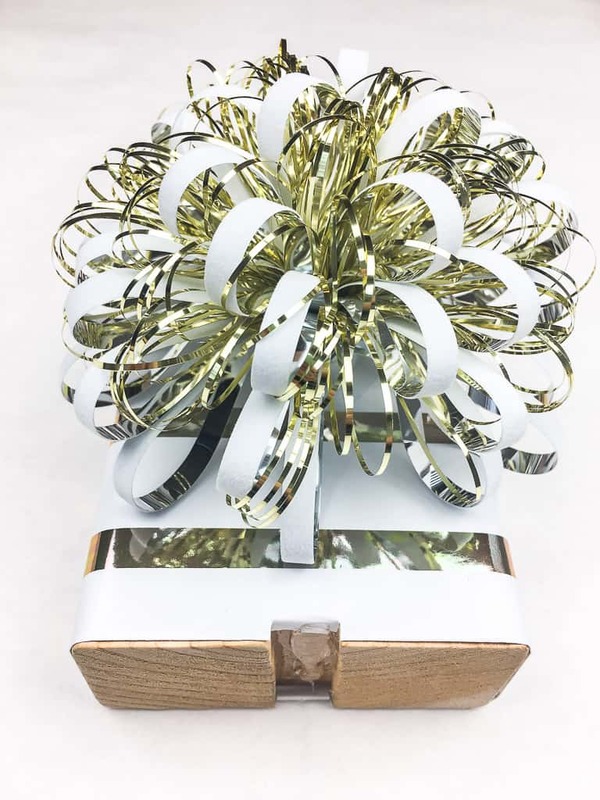 The gift wrapped blocks add a little sparkle! Looking for a different way to display your Christmas stockings? 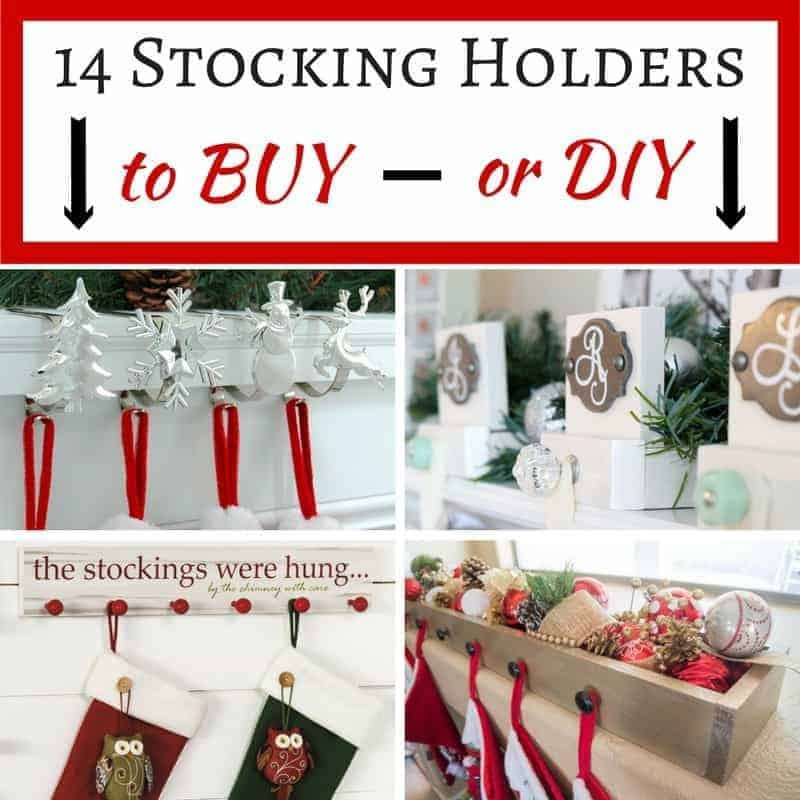 Here are even more stocking holders to buy or DIY! No fireplace? No problem! 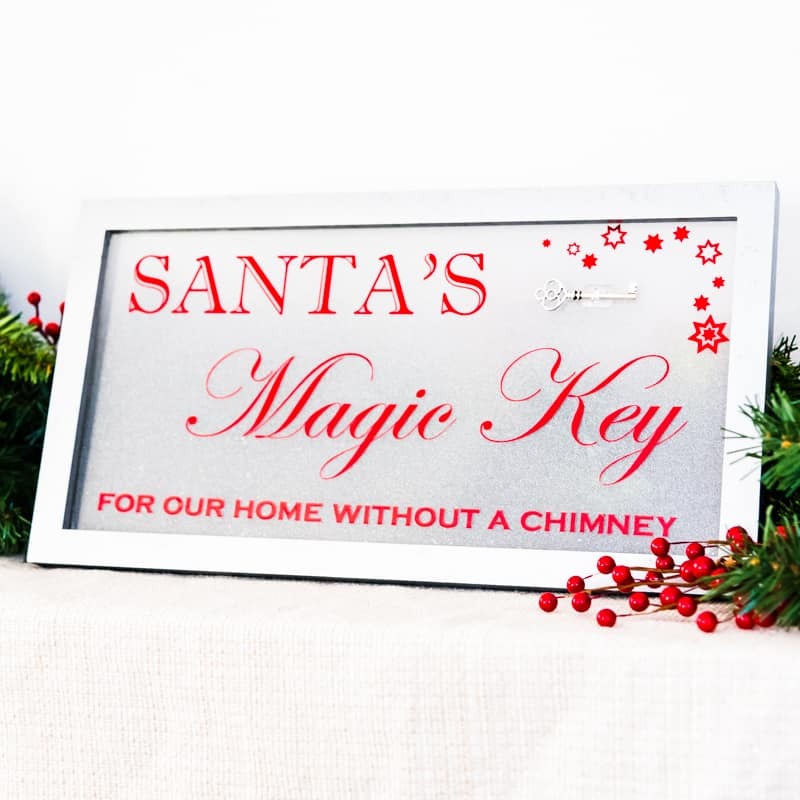 Display Santa’s Magic Key by the front door, so he can deliver presents on Christmas Eve. 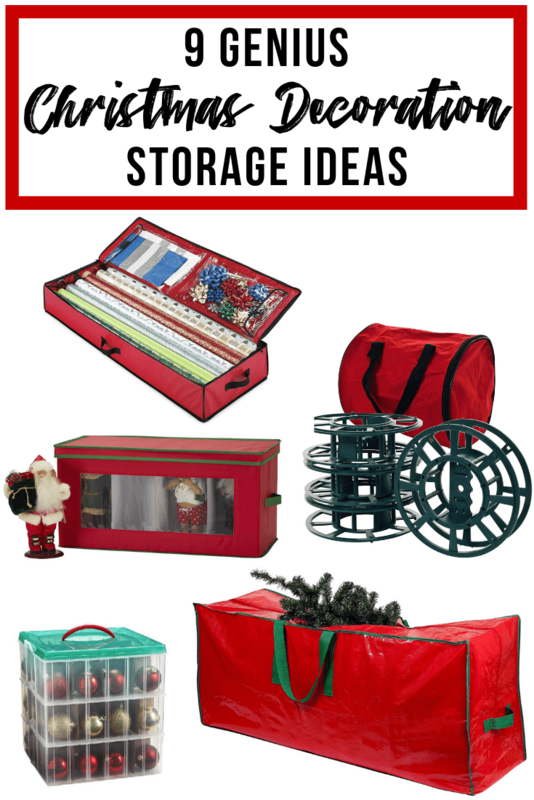 When it’s time to put all the holiday decor away, use these genius Christmas decoration storage solutions to organize it all for next year!